Follow the links in the section menu for a list of violations and further details. From time to time, BFLG produces summary monitoring reports showing the types of violations that are commonplace in the UK. 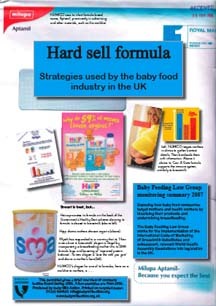 These can be downloaded as pdf files and ordered as printed copies via the Baby Milk Action online Virtual Shop. 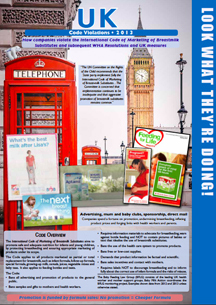 Click here to download the report as pdf file. Click here to download the report as a pdf file. 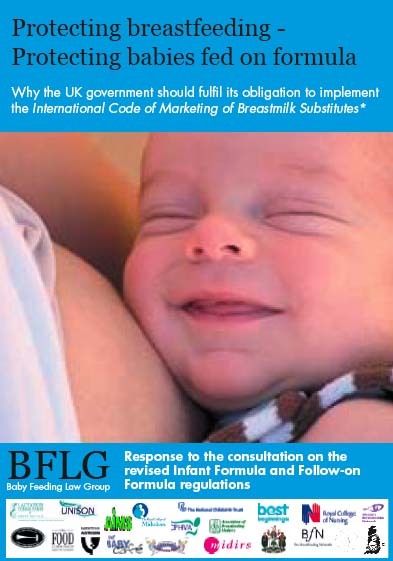 BFLG submission to the UK Government consultation in 2006 on the Infant Formula and Follow-on Formula Regulations.